Are you a classical singer interested in auditioning for musical theater? Do you want to be "taken seriously" in musical theater and contemporary styles? 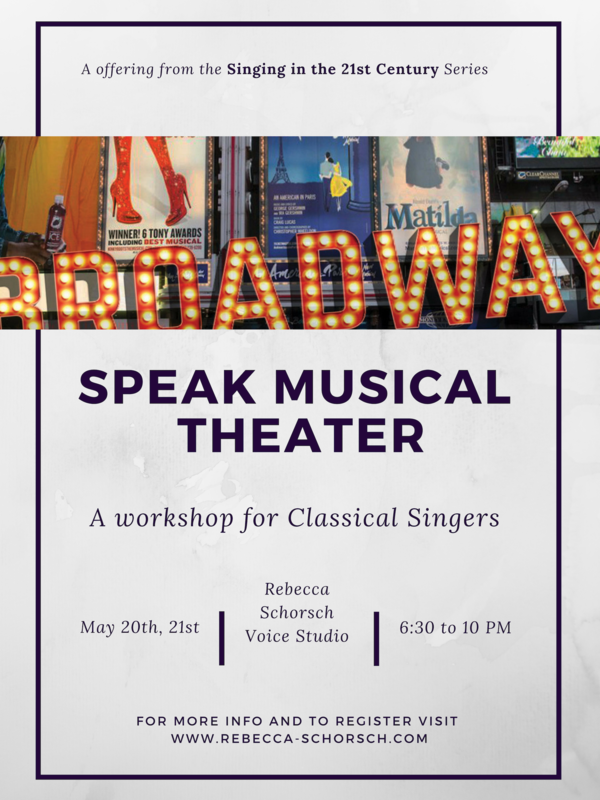 This 2-night workshop is for you! 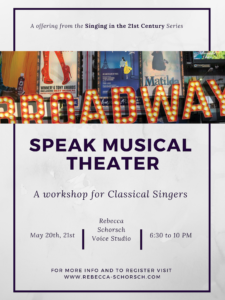 Learn the differences between classical voice and musical theater in vocal terminology, professional and social cultures, audition practices, etc.